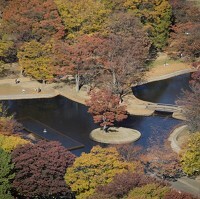 Visitors to one of Tokyo's favourite public parks have fallen victim to a crippling viral disease. Japan's health ministry reports that 11 tourists have contracted dengue fever during a visit to Yoyogi Park. This brings the number of sufferers during the country's only outbreak of the illness since 1945 to 47. Wednesday's (September 3) announcement comes a week after the first case was reported in a teenage female. The outbreak is currently very limited and travellers can give themselves peace of mind by booking travel insurance before they travel to Asia. This is particularly important for those travelling with ongoing health problems - pre-existing medical travel insurance can be arranged. Mosquitoes spread the fever, which can also bring severe muscle and joint pain, rashes and life-threatening bleeding. The outbreak's source has been pinpointed to Yoyogi Park. People who think they may have contracted the illness are being warned to seek medical help. Everyone who has suffered the fever is stable, with only some staying in hospital, says the ministry. Government officers have sprayed more than 200 gallons-worth of insecticide in the park and began trapping its mosquitoes to see if they are spreading fever. Warning signs have been erected. Health minister Norihisa Tamura has advised locals and tourists to stay calm, playing down fears the number of fevers could mushroom.